Holly Lodge is a log cabin located on Holly Beds Farm, Earls Croome, near Upton upon Severn in South Worcestershire. Holly Beds Farm is run by Tom Goodwin, the 3rd Generation of our family to farm at Hollybeds which has been occupied by the family for over 65 years. The farmhouse itself is timber framed and built in the 1500's! 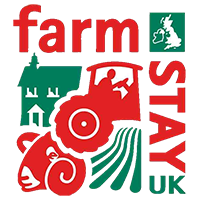 The farm is set in a wonderful position overlooking the Severn Valley and between the Malvern and Bredon Hills. We delight in being able to share our breath taking scenery with our guests. The farm has grown over the years and now comprises 630 acres together with 11 acres of woodland. The main enterprise on the farm is our dairy herd of 250 Friesian milking cows. A new milking parlour and cubicle housing has been a major investment in 2016. We just hope that the milk price and returns in the future reflect this! Most of the calves are reared for beef. In the future we will also rear replacement heifers for the dairy unit. The main arable crops are winter barley for consumption by the beef animals and milling wheat for bread making. We make 100 acres of hay on Upton Ham which is a very valuable SSSI site. This is mainly sold to horse owners locally. The woodland was purchased in 1995 and the main part of it has been felled and replanted with appropriate species to return it to its original semi ancient natural woodland status.